Happy International Women’s Day! I’m celebrating by sending these great postcards by Natalie Harney to a few of my pen pals. It’s also Women’s History Month, so I plan to honor women all month long (here on the blog and in my everyday life.) I was also going to try to only read novels by women writers, except we’re reading George Orwell for book club so, I’ll be reading him too. 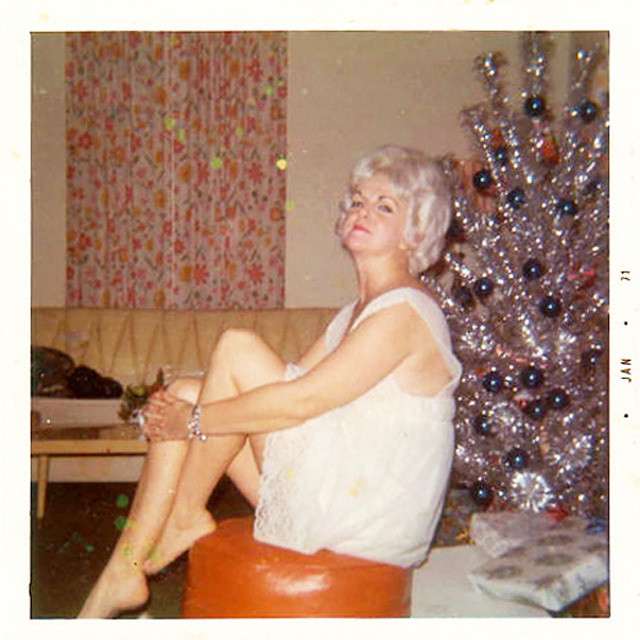 Inspired by this online article about these fabulous middle-aged women in the 1950s and 60s, Naoto took a few pictures of me with our Christmas tree this year. I put on my new blue velvet dress and I poured myself a glass of prosecco for the picture. 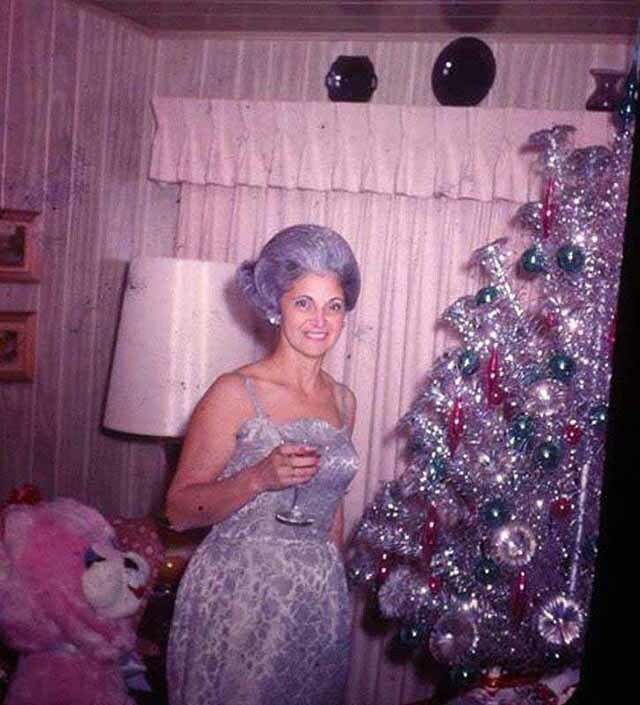 (This lady was my inspiration.) I took a couple of shots of Naoto and Presley. I know her face says otherwise, but she really does like to wear her scarf. Naoto liked this one because Presley is sleeping above me on the books.